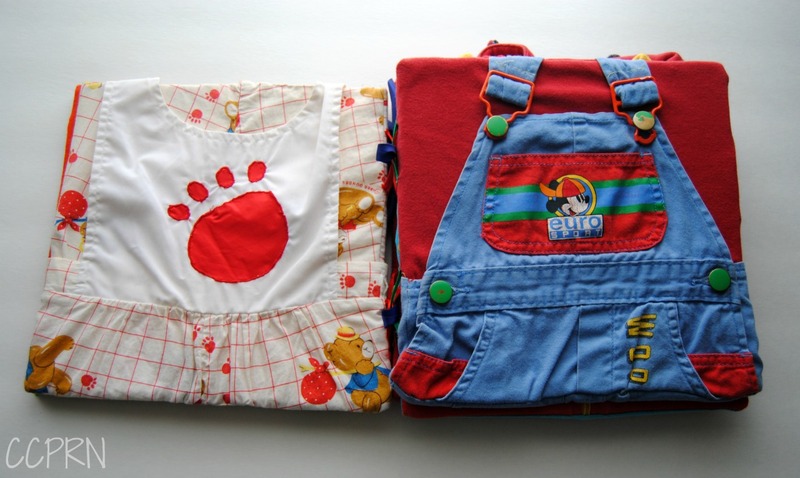 Have you ever wondered what might be the best order to introduce letters to young children? There is no standard for which order to teach the alphabet. Some educators use a letter-of-the-week method that may or may not be based on letter frequency, while others follow the alphabet in order. 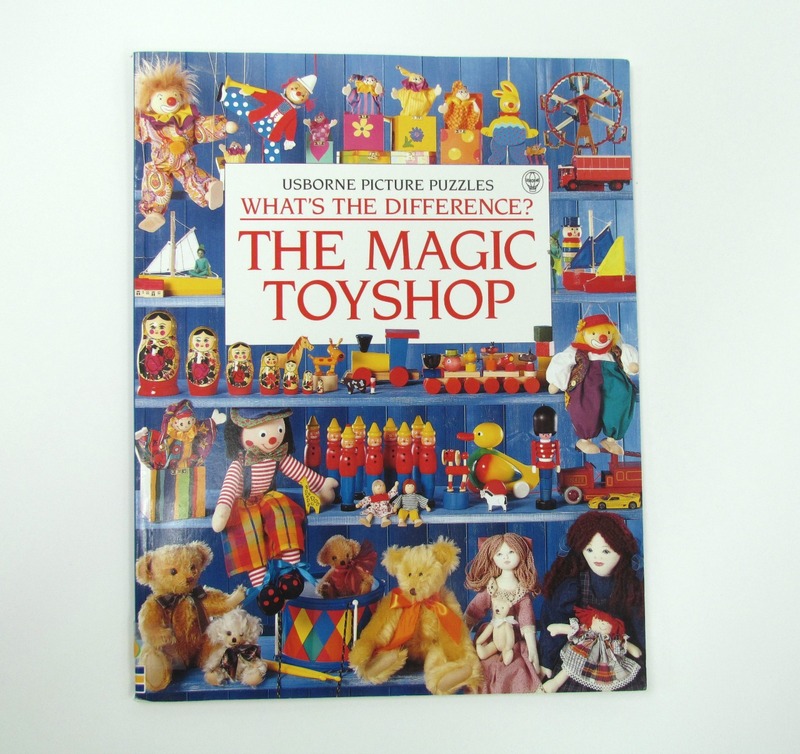 Very young children may already have some print knowledge. Typically they are motivated by the letters in their own name. When introducing the alphabet to young children, here are some things to consider in your planning. The two greatest predictors of reading success are knowledge of letter names and letter sounds (phonemic awareness) in the early years. Once children begin to have an understanding of these concepts, they can grasp the relationship between sounds of speech and letters (alphabetic principle). It is easier to predict the sound of some letters than others. When a letter’s sound can be extracted from its name, it is easier to build an understanding of the alphabetic principle. The name of the letter E, for example, can be heard in its sound. However, when W is spoken, it does not sound like its name: ‘double-u.’ So when choosing which letters to first introduce to your group, consider letters that have an obvious correlation between letter name and letter sound such as: A, B, D, O, T, V, and Z. There has been much debate about whether to introduce uppercase before lowercase letters. One could argue that most print is in lower case and therefore children should be taught how to read these letters first. But when it comes to learning to print, it is easier for young children to reproduce uppercase letters. These letters are larger and can be more easily reproduced with their predominantly straight lines. With limited pencil control, young children can print large letters with vertical and horizontal lines more easily than smaller ones with curves and diagonal lines. Begin with letters that have vertical and horizontal lines such as H, L, I, and E.
Toddlers can learn to sing the alphabet song and should be read to daily. This age group enjoys simple, rhyming stories and songs. Encourage toddlers to recognize the first letter of their name. At two years of age a child may be able to produce vertical strokes, and horizontal ones by two and a half years. Expose toddlers to print and model adult printing for them. Encourage the development of the fine motor control needed for printing through scribbling, manipulatives and play dough. Preschoolers may be able to learn to recognize and name some of the letters of the alphabet. To strengthen their understanding of this, focus on beginning letter sounds of a word. For example blue, berry, brown, bag. They can develop dexterity and pencil control through colouring, tracing letters, and completing simple mazes. Children this age may scribble, create mock letters that are unrecognizable, or string random letters together to represent words. Typically at three years old a child can draw circles, print a cross at age four, and a square at age five. Continue to expose children this age to increasingly complex stories. Ask them questions about the stories to encourage development of their narrative skills. Keep in mind that writing tools for young children should be small. Short, thin crayons are recommended over thicker ones. Literacy is a journey that takes time and cannot be rushed. Encourage print motivation (an interest in reading) by providing a child-centered environment that is rich in literacy. Incorporate the interests of the children into their learning. Each child develops at their own pace and there are many cognitive and fine motor skills needed before the process of reading and writing can begin. As educators, our role is to set a strong foundation for success and foster a love of reading in the early years. References: Lucy Hart Paulson, Ed.D, CCC-SLP Communicative Sciences and Disorders University of Montana. Taken from Niagara Speech Services Emergent Literacy Conference 2015. Eye spy games are a natural fit for young children and there are so many varieties to keep it fresh and exciting. 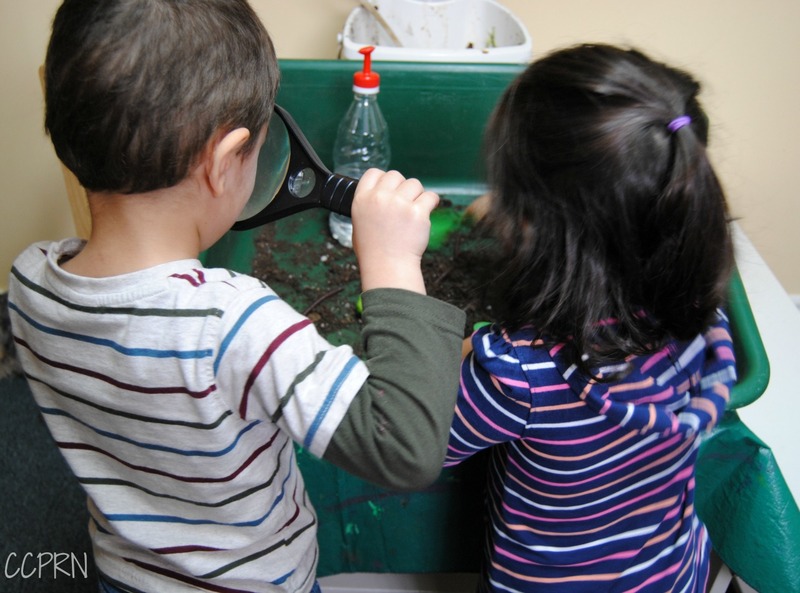 These games foster a child’s curiosity, visual discrimination and language skills. 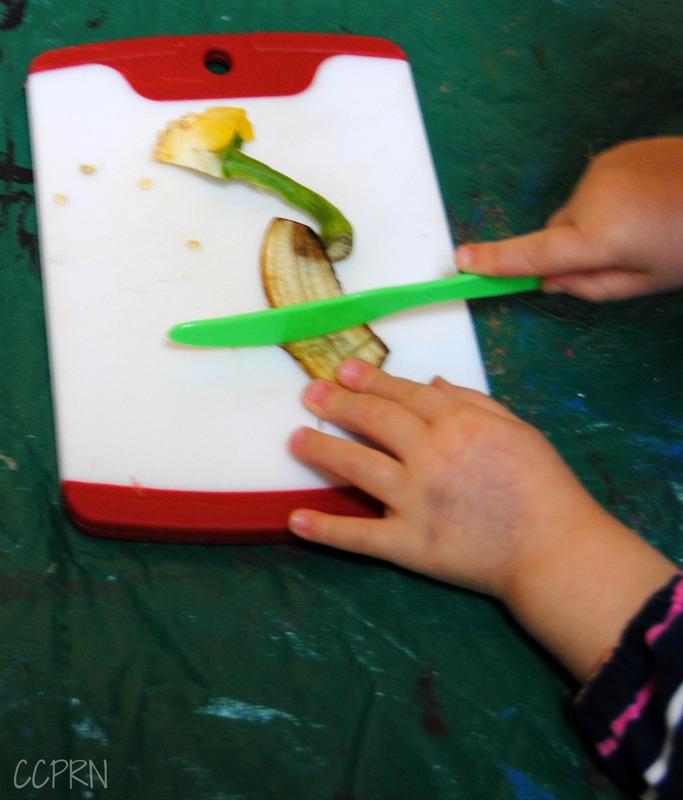 Some promote fine motor manipulation, print motivation and sensory exploration. The beauty of creating eye spy bottles is that you can choose smaller items that you wouldn’t normally give very young children to play with. 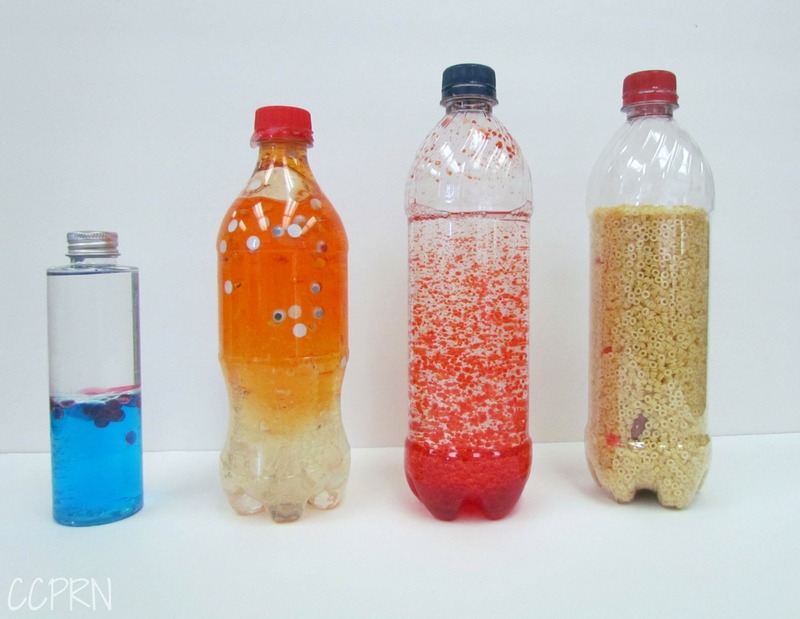 Recycle your plastic bottles or containers and fill them with all kinds of fun things. Pictured above (from left to right): oil and water with small plastic beads and food colouring – hair gel and googly eyes – oil and water with food colouring – tiny pasta (or beads with miscellaneous items hidden inside). Seal the lid with a glue gun (and consider taping it closed with electrical or duct tape for extra security). These rugged little eye spy boxes were made from old cassette cases and are an ideal size for small hands to manipulate. Simply fill with small items (themed or by colour) and seal with packing tape! Consider making alphabet themed boxes for your preschool and kindergarten aged children. 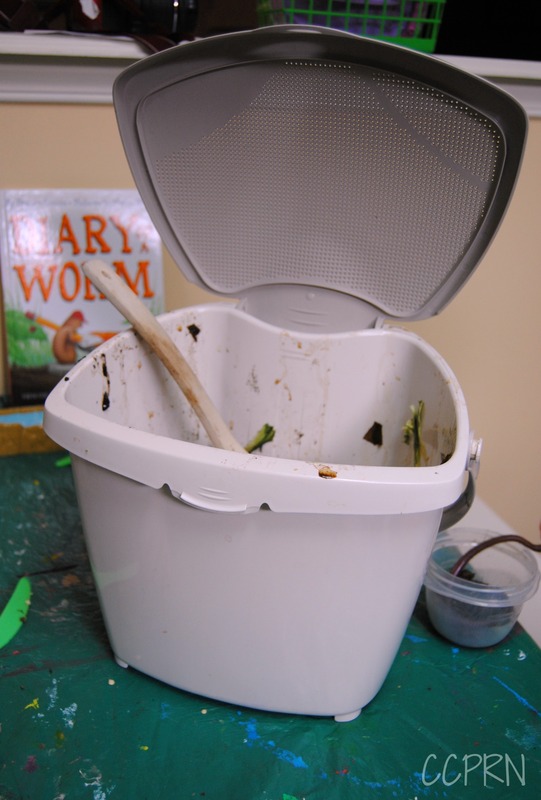 You can even make an eye spy game by hiding related items inside your sensory bin. The possibilities are endless. 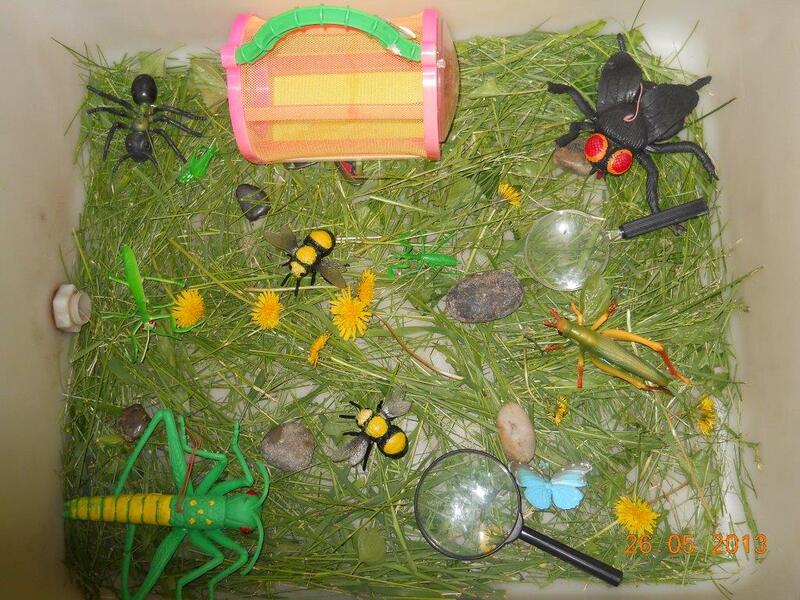 A very special thank you to CCPRN Board Member Laurie Boucaud for this picture of her bug themed sensory bin. 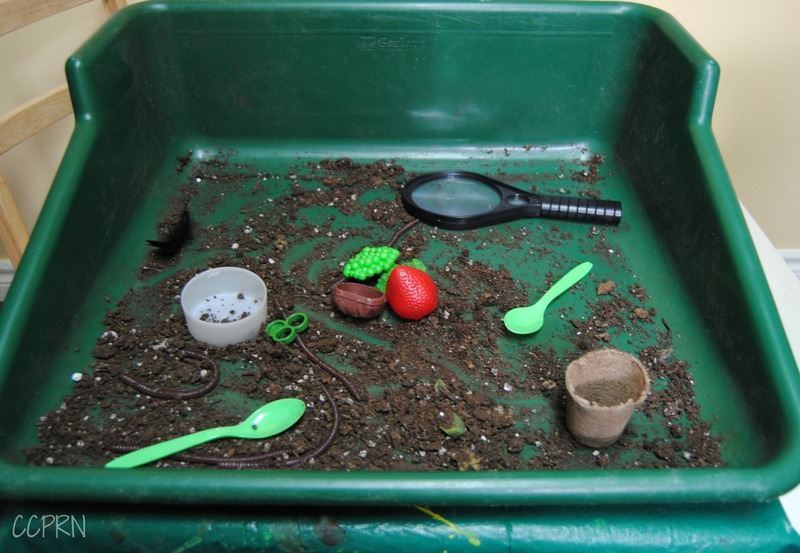 Consider taking pictures of assorted items or of your sensory bin to create custom eye spy pictures to use at a later date. Simply print and laminate for a fun game that can be used again and again. This tool can be enhanced for older children by including a checklist of items to find. Eye spy books are a great option for incorporating literacy into fun! This is an ideal activity for quiet time as well. 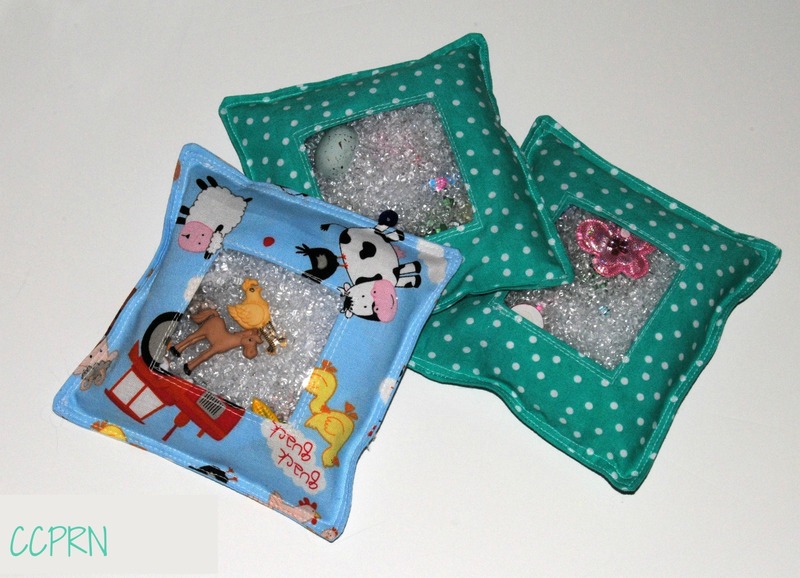 Eye spy bags require some sewing skills, but if you have a sewing machine equipped with a walking foot, all you need is a small piece of clear plastic vinyl, fabric, and items to hide inside. These themed bags were filled out with flower arranging beads from the dollar store. Your children can have so much fun with these homemade toys they won’t even know they’re learning! Quiet books are inexpensive to make and are amazing tools for developing your little one’s finger dexterity (or fine motor control). 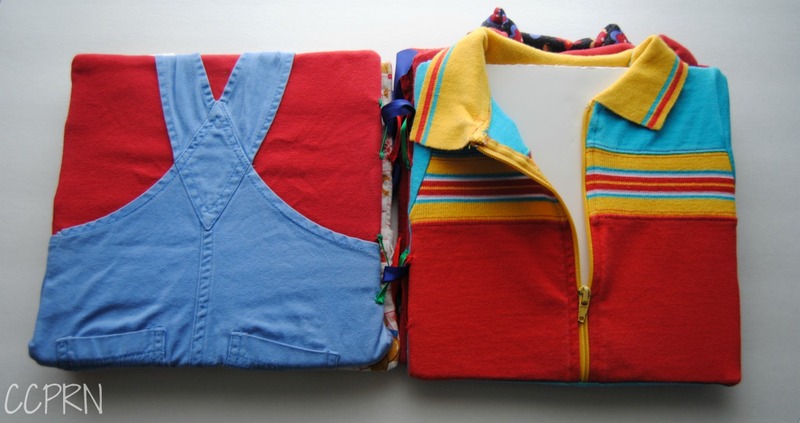 They give children the opportunity to practice and improve their self-help skills through activities such as lacing, buttoning, and using zippers – all without being rushed to get out the front door. Your little one’s newfound independence will prove most helpful when school starts. This quiet book belongs to one of our members. 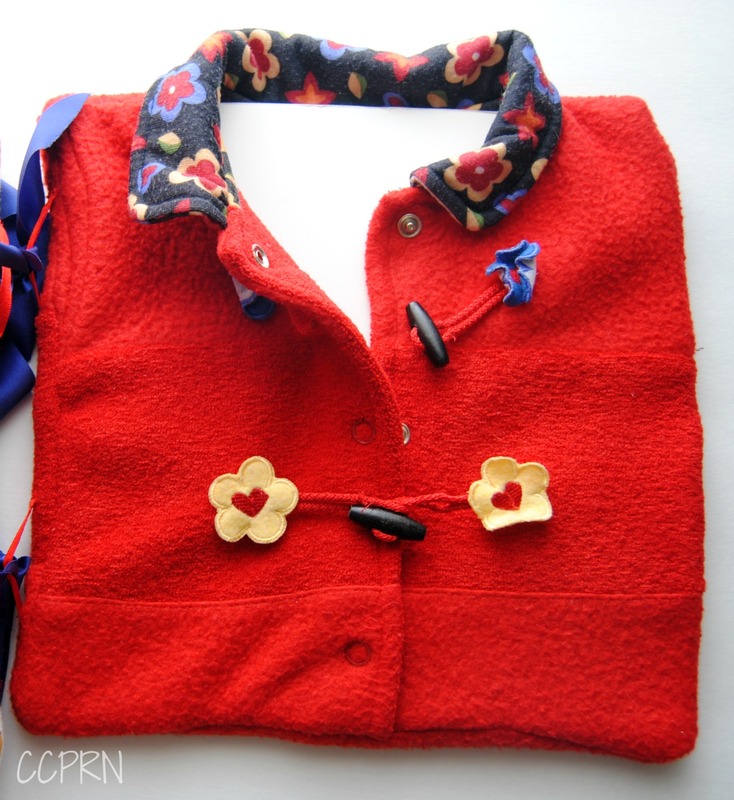 It was made from children’s clothes, sewn over foam core squares, and assembled with ribbon. This one was made using ring clips. 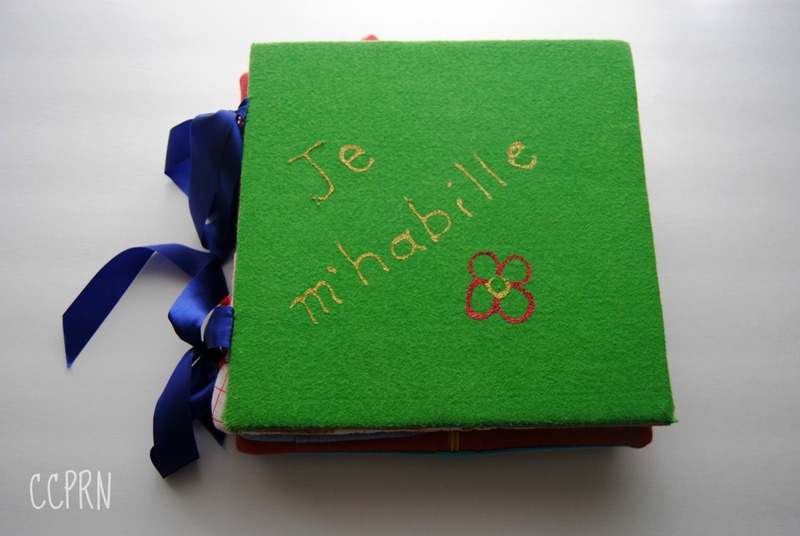 Or why not try a 3-ring binder? Pinterest is a great source of inspiration if you want to create one of these books yourself. 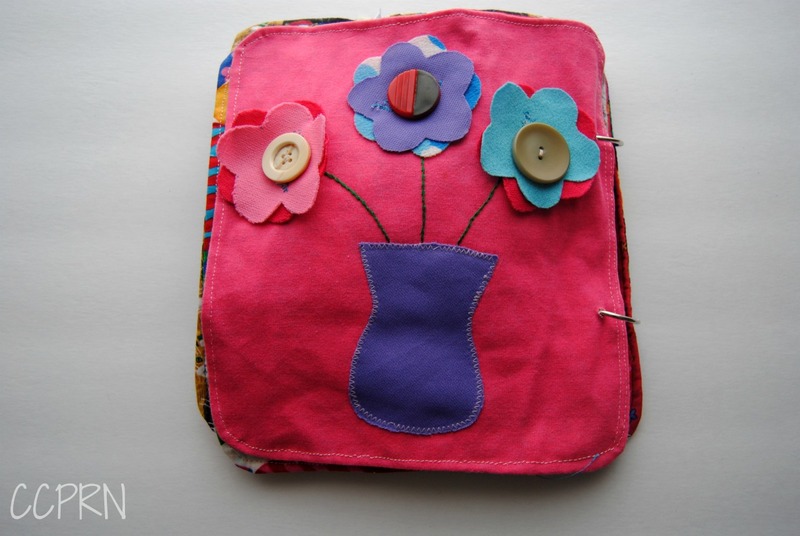 They can be as simple or as intricate as you like: machine sewn, hand-stitched or made with felt and fabric glue. So even if you’re not a sewer, you can do this! Share the Care is a special feature of our blog where we hope to share some little tips and tricks that have worked for our caregiver members. 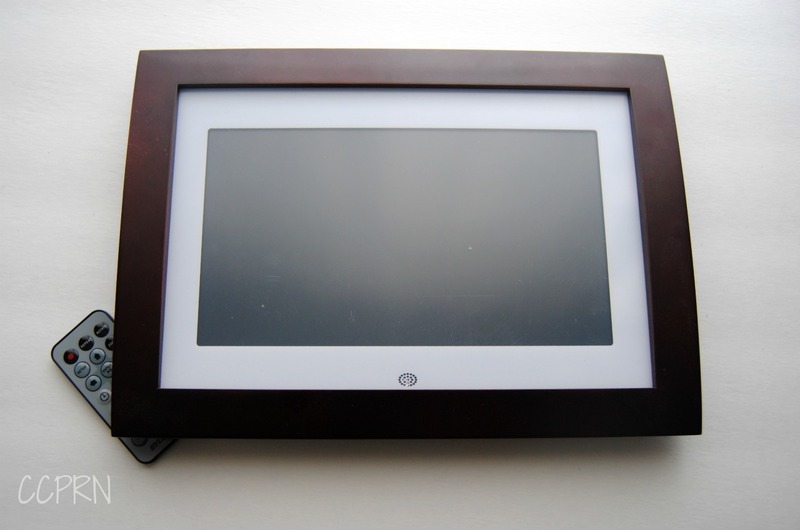 Some home child care providers place a digital picture frame in the front entrance way to greet their daycare families. It’s not only a great way to showcase some of the daily activities that their children take part in each day, it’s also an inviting way to welcome them. Especially for those little ones that are a bit timid and need some extra encouragement upon arrival. Displaying pictures of your daycare children engaged in different activities can get them excited to join their friends in play. So if you have a little one who is a bit reluctant in the mornings, why not give it a try? 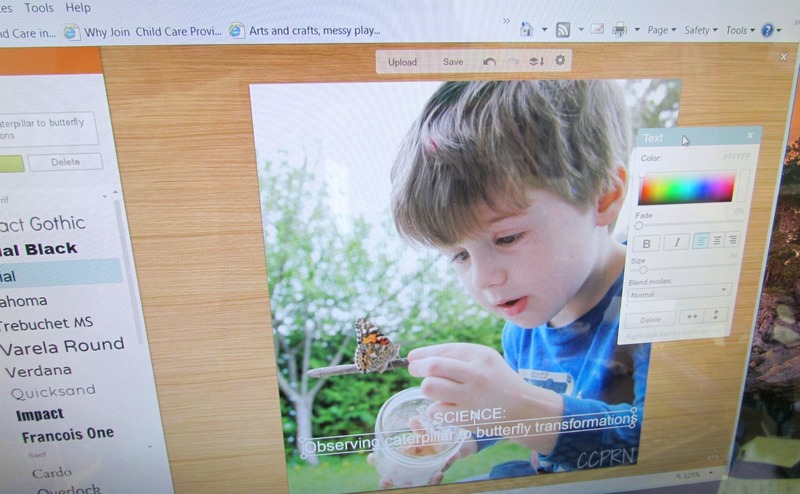 If you wanted to take it a step further, you could overlay words over your images explaining the activity to parents and even what learning/development is taking place. You can do this with many different kinds of photo editing software. I like to use www.picmonkey.com because it’s so intuitive (and free!). *Don’t forget to have your daycare parents sign a photo consent form before taking pictures of their children. How do you break the ice when children arrive at your home? We’d love to know – please comment below!